Nearly 10,000 protesters came out onto the streets of central Chisinau on Sunday to protest corruption and to call on those responsible for the country's corruption-ridden paralysis to resign and face prosecution, local media have reported. Organized by the 'Dignity and Truth' civic group, an eclectic collection of civic activists, political scientists and journalists, the mostly pro-EU oriented protesters voted on a resolution against the pro-EU coalition government, saying its lack of political will has led to a loss of confidence inside the country and in the eyes of its international partners. 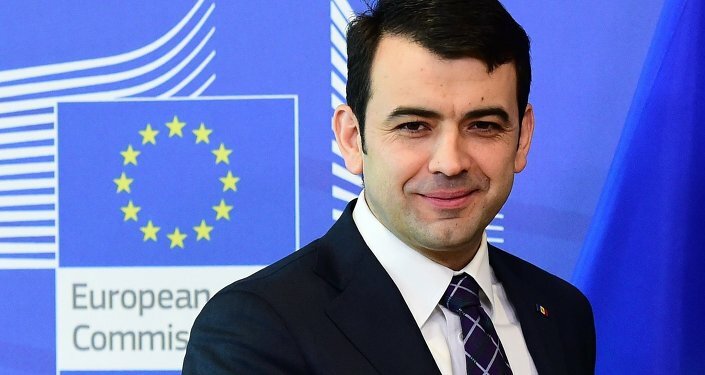 The resolution demanded that members of the parliament and judges be stripped of their immunity from prosecution, and called on state officials involved in the scandal surrounding the theft of nearly a billion euros from three banks to face punishment. The civic group gave the government until August 27 (Moldova's Independence Day) to meet their demands, threatening to return with larger protests. The phrases "Down with the traitors! ", "Down with the Mafia! ", "Criminals to Jail!" and "Igor Plahotnyuk [a local oligarch], don't forget, your home is in jail!" could be heard coming from the crowd and seen on homemade posters. 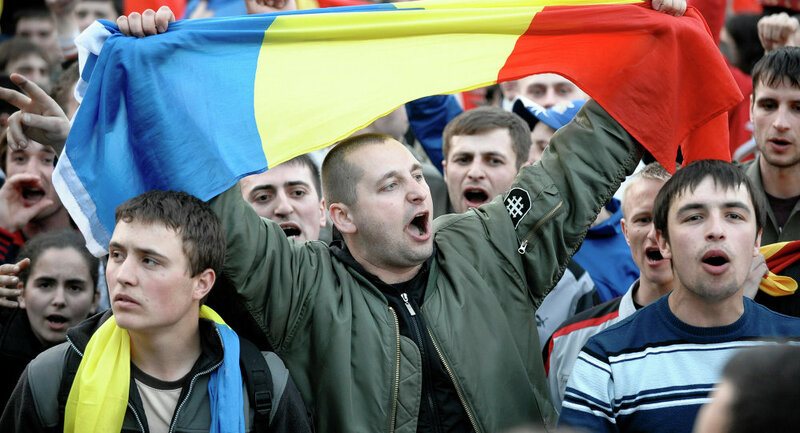 Some of the protesters carried Moldovan, Romanian and EU flags. Speaking before the crowd, Igor Botan, a well-known local pro-EU political scientist and one of the leaders of Dignity and Truth, stated that "we must step up protests in order to see justice, including over the theft of a billion euros from the banking system. We believe that the architects of this robbery of the century are themselves the leaders of the ruling parties. Without active protests, [authorities] will not do anything." Botan added that authorities have promised that a third of the money stolen in the country's recent banking scandal may be returned, "two thirds will be transferred to the national debt, so that we the tax payers will be forced to return it. We cannot sit idly by and watch this. It is obvious that those who are responsible for this situation will not punish themselves." Dignity and Truth had earlier held several large-scale meetings, the last of which took place in early May and gathered nearly 50,000 people.